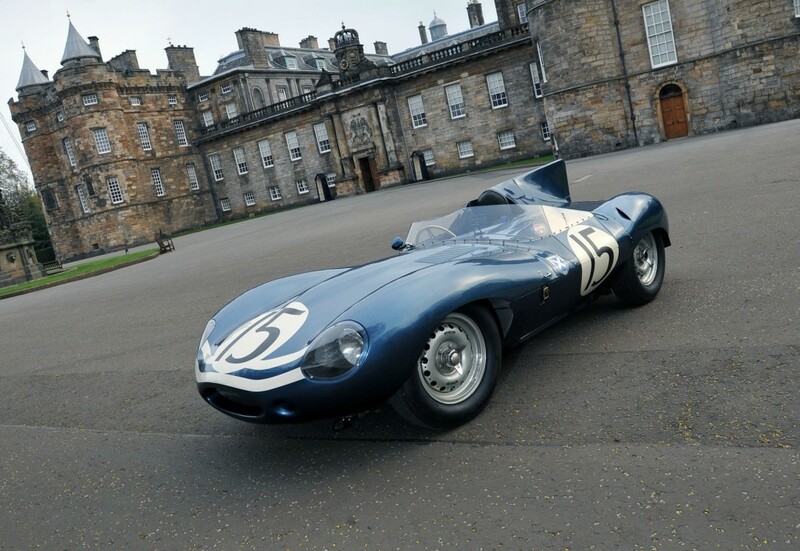 Concours of Elegance has announced details of the exclusive ‘world first’ motoring features hosted at its 2015 event, which will be held at the Palace of Holyroodhouse in Edinburgh from 4-6 September. Running alongside the main Concours event, made up of 60 of the world’s finest cars, will be the largest ever collection of Ecurie Ecosse racers, ranging from the ‘50s to the modern day. Sir Jackie Stewart, recently named Vice Patron of the Concours of Elegance, will also display his three Formula One Driver’s Championship-winning cars to Holyroodhouse, in another world first. There will be a separate homage to some of Scotland’s motor racing heroes, including two Formula One cars driven by Jim Clark and Johnny Dumfries’ Le Mans-winning Jaguar XJR-9. Concours of Elegance will also see the first members of the Scottish Motoring Hall of Fame inducted at the event. In the main Concours display, the organisers have confirmed a number of the stars of the show, which will include a 1933 Hispano-Suiza J12 Cabriolet and the 1911 London-to-Edinburgh Rolls-Royce Silver Ghost. The Club Trophy will also be held at the Palace in September, featuring hundreds of classic cars from across the UK and the best-of-the-best from the nation’s car clubs. Each club submits their individual Concours winner, which is then judged by a panel of Concours of Elegance experts, chaired by HRH Prince Michael of Kent and guest judges which in recent years have included David Gandy, Mark Knopfler, Jodie Kidd and others. 2015’s judging panel will be confirmed in the summer. The Club Trophy winner car is then entered in to the Concours of Elegance in 2016. One of the primary aims of Concours of Elegance is to raise money for charity, and this year’s event will be generating funds for Walking With the Wounded – who will be establishing facilities for ex-military personnel all over Scotland – Action on Addiction and Springfield Motor Racing’s Club for Young People. So far, Concours of Elegance has raised more than £600,000 for its charities. Concours of Elegance takes place between 4-6 September and has partnered with a series of exclusive brands for the event, including Bentley, Hamilton & Inches, Jaguar, Rolex, Johnnie Walker, Pol Roger and RM Sotheby’s. Tickets are available now from concoursofelegance.co.uk, with an adult ticket costing £35 and discounts for children. A variety of hospitality packages are also available.